Call Mark @ 864-365-6155 for more info or to schedule a showing. 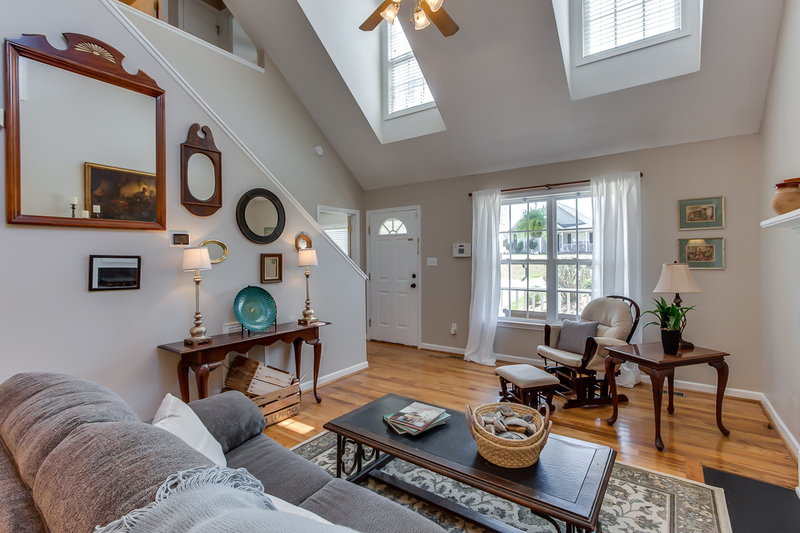 Charming 2-Story Cottage in darling Willow Brook in Boiling Springs. 4 bedroom/2 baths, hardwood and tile floors, 2 story-living room, with master on main. Exceptional features: whole-house freshly painted, new carpeting, a pair of new Lennox HVACs, wooded lot. The bright and airy living room with Cathedral ceiling has a gas log fireplace and joins the dining room which lets out onto the deck overlooking a small creek. 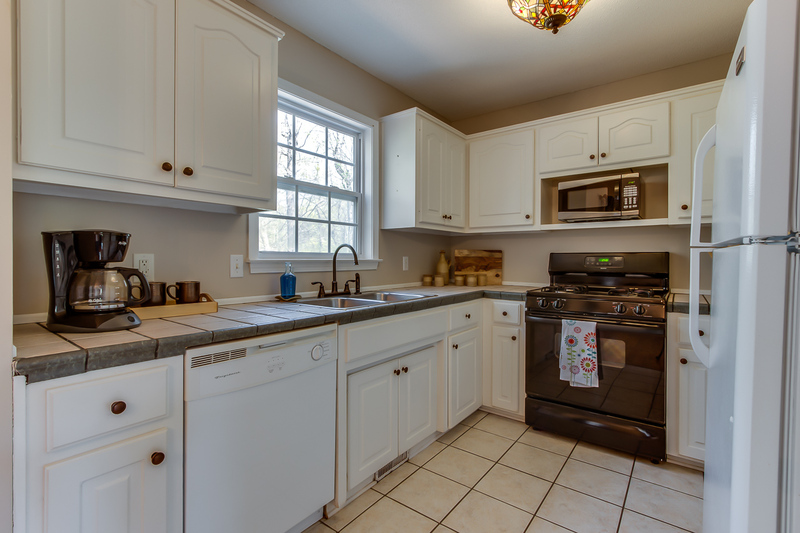 In the kitchen are wood cabinets, a closet pantry, and a gas stove with microwave niche. A generous closet beneath the stairs is perfect for coats and extra storage space. 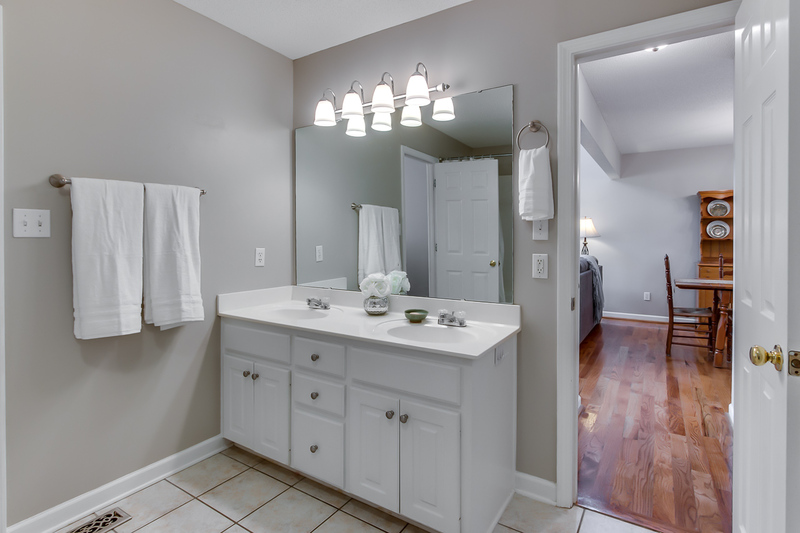 The master bedroom en suite has a walk-in closet, double sinks, and a jetted garden tub shower. Three full bedrooms and full bath are upstairs; one bedroom has a walk-in closet. Outside, behind the home is a large shed and a walk-in crawl space to hide all your necessary outdoor equipment. This sweet spot in the neighborhood is near the neighborhood pool and common area. 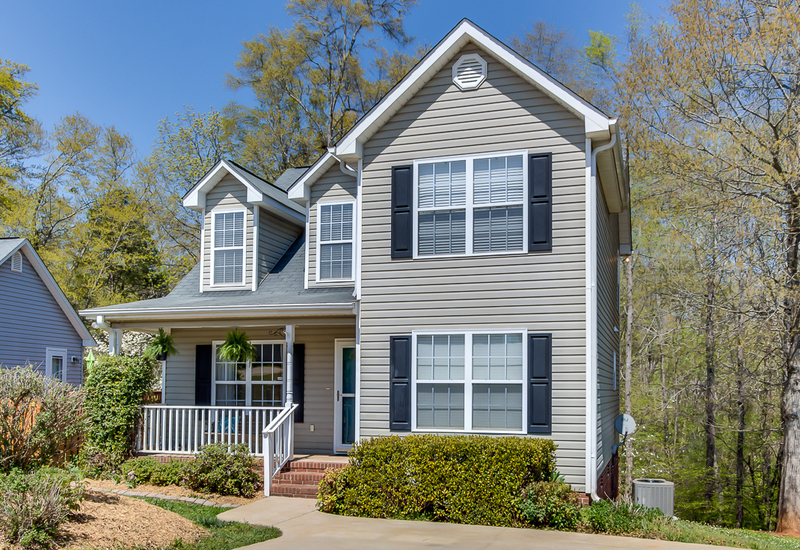 Walkable and friendly, come call this house your new home! It will NOT last long. The things I love about Boiling Springs are the convenience of shopping and restaurants, as well as the proximity to I-26 and I-85 for travel! Our neighborhood is great for walking/jogging without having to enter a main road. It also has the convenience of a pool without the worry of keeping it up yourself! We love to eat at Los Mexicanos, The Crepe Factory, Limeleaf, and Waffle House to name a few! We also love getting takeout at China Fun. Grocery stores are plentiful and convenient, Ingles is only a few minutes from our neighborhood! When we bought this property we were drawn to its location near good schools, it’s proximity to the highways, grocery stores, and businesses of Hwy 9 without having to deal with the traffic. The Spartanburg area is growing rapidly and is wonderful for eclectic restaurants and small town charm. Of course, we all like different things; we enjoy hiking all over and Boiling Springs is accessible to great spots in Greenville and North Carolina. We also enjoy great dining and there are wonderful restaurants on Hwy 9 and downtown Spartanburg. Our utility costs are lower than you would expect with a house of this size thanks to the downstairs and upstairs having separate units! Our Piedmont Natural Gas bill is typically $8, our Duke Energy bill around $120, and Inman-Campobello Water District bill between $50-$60.